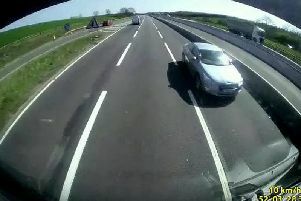 The inquests of three people killed when their car collided with a stationary lorry on the old A421 Bedford Road in the early hours of May 29 have been opened today at Ampthill. Mary-Anne Wykes and Lewis Cook, both aged 16, and Genevieve Reason aged 32, all died at the scene. Two men managed to escape from the car which caught fire after the collision. Ms Reason, a mother of two from Deerwalk, Woburn Sands, was driving the Audi when it collided with a lorry near Sheeptick End, Lidlington. Mary-Anne lived at Murfitt Way in Gamlingay and Lewis was from Deacon Mews in Marston Moretaine. Both teenagers attended Wootton Upper School.